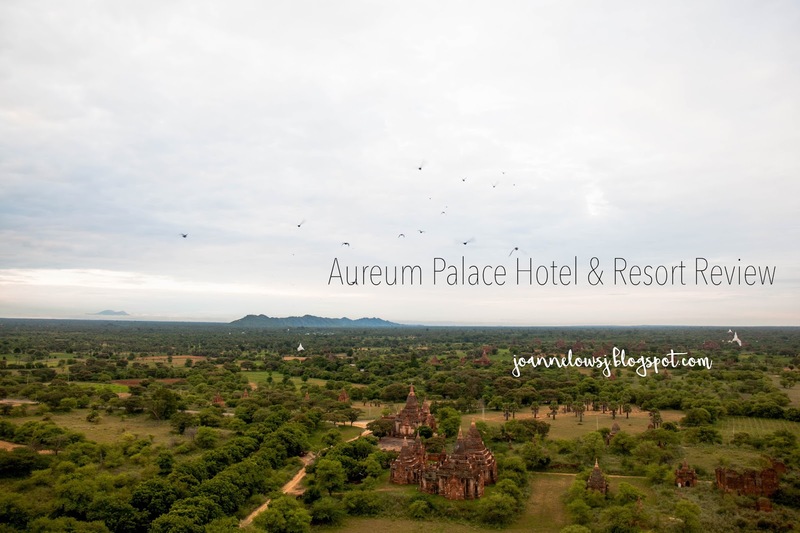 Located in Old Bagan, Aureum Palace Hotel & Resort is surrounded by many ancient temples. The unique artifacts and Infinity pool is definitely the reason why we choose Aureum Palace as our choice of hotel in Bagan. Upon arrival, we were greeted by the friendly staff and checking into the hotel was fuss-free. Other than the complimentary wifi, we were given tickets to Bagan Viewing Tower. For 2 nights, we stay in the deluxe double room. 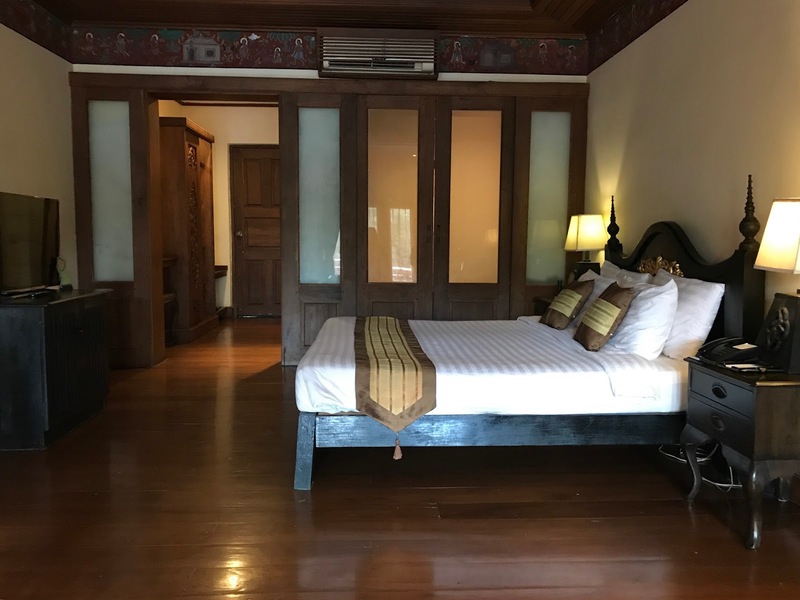 The room is designed with Burma teak wooden pieces and is huge. 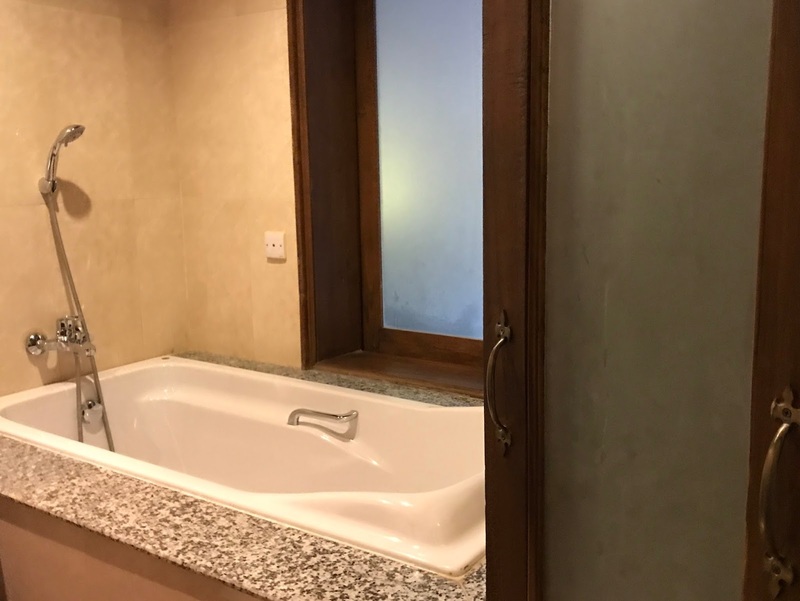 It is divided into 3 section – Bathroom, Bed and a Living room. The bed was comfortable and had a medium firm mattress. Toliet comes with basic amenities. 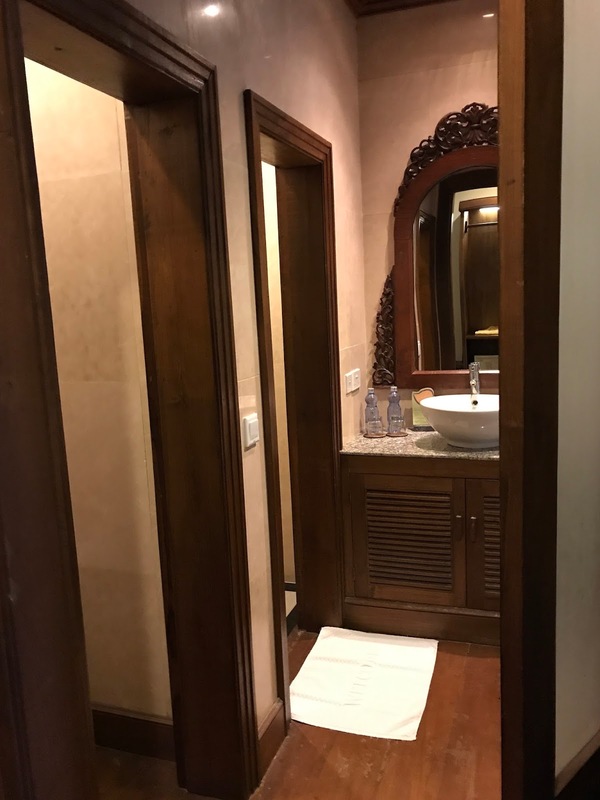 Despite the beautiful design and views from the pool, the room needs more maintenance and upgrade. The entire room is dark, the basin is dirty and air condition was not working well. H & I had our dinner at the Golden view restaurant on the first night. The restaurant serves Asian, Western and Burmese cuisine. I ordered pork burger and the serving is huge. The patty was perfectly grilled and juicy. H had Burmese beef curry and he thought it was pretty good too. For the next few morning, we had our breakfast at Xanada Restaurant. Located next to ancient ruins and the infinity pool, the view is gorgeous! I could sit there all day long if the heat is not daunting. From porridge to croissants, the food selection is decent and have something for everyone. Definitely better than most hotel breakfast in Myanmar. 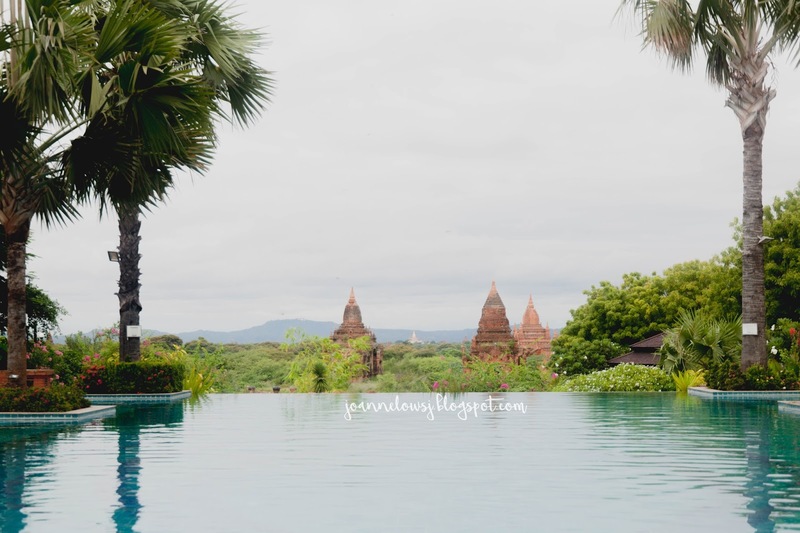 The infinity pool was the first to caught my attention while we were still deciding where to stay in Bagan. True to the photographs I saw, the view from the pool did not disappoint. We went for a morning dip was lucky to have the pool to ourselves. The downside is that the pool requires more cleaning and water filter. There were lots of dead bugs lying around the pool. I saw the staff trying to clear the bugs but I guess there were too many and cleaning manually does not help. Other than the infinity pool, the premises have a separate pool and jacuzzi located near the rooms. 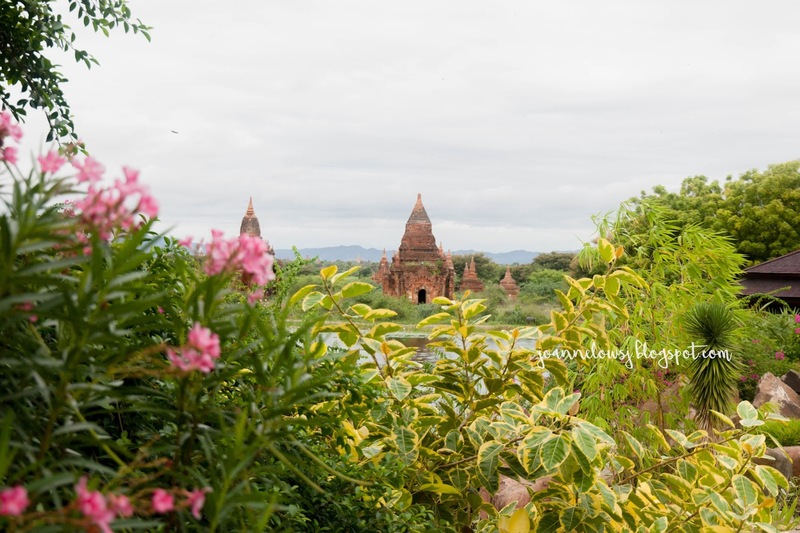 We were quoted 60,000 for a day (Car+driver) in Bagan. However, H wanted to experience e-bike so we decided to go ahead and book one. (4 hours – 8000k, 8 hours – 15,000k). After some planning, we decide to go ahead to book 2 x 4 hours slot. This arrangement allows us to catch the sunset, have dinner at Nyaung U and relax. Read more about our Myanmar adventures here!